Sporty Flyball hat has a baseball style logo reading “Flyball” scripted across the front, with a paw print in the lower right. This great design is perfect for any season as well as both men and women. Personalize by choosing your own thread color! Sporty Flyball sweatshirt has a baseball style logo reading “Flyball” scripted across the front. This great dog design is perfect for any season as well as both men and women. Design is approximately 12″ wide. Sporty Flyball t-shirt has a baseball style logo reading “Flyball” scripted across the front. This great dog design is perfect for any season as well as both men and women. Design is approximately 12″ wide. Fun and colorful flyball sweatshirt is embroidered with paw prints spelling out the word “Flyball.” On the bottom right is a tennis ball bouncing away. Very happy design can be stitched in another color scheme – just choose three colors for the paw prints and write them in the personalization box. Very cheerful dog sports design for flyball fans! Design is approximately 10.5″ wide. Fun and colorful flyball t-shirt is embroidered with paw prints spelling out the word “Flyball.” On the bottom right is a tennis ball bouncing away. Very happy design can be stitched in another color scheme – just choose three colors for the paw prints and write them in the personalization box. Very cheerful dog sports design for flyball fans! Design is approximately 10.5″ wide. Embroidered flyball sweatshirt has a flyball box sewn onto the left chest, with a ball popping out. Stitched down the side of the design reads the dog sport “Flyball.” Simple and classy embroidered flyball apparel for dog lovers. Choose a new color for the box by requesting it in the personalization box! Embroidered flyball t-shirt has a flyball box sewn onto the left chest, with a ball popping out. Stitched down the side of the design reads the dog sport “Flyball.” Simple and classy embroidered flyball apparel for dog lovers. Choose a new color for the box by requesting it in the personalization box! Put a Flyball Dog stamp of approval on your vehicle, front door, laptop – most any smooth surface! This fun Flyball decal has a flyball box inside a circle, with the text “Flyball Dog Approved” around the outside. Fun dog lover vinyl stickers. Two colored heat pressed dog flyball sweatshirt reads “Flyball” across the center, “Dog Sports” below that, and a paw print at the bottom. 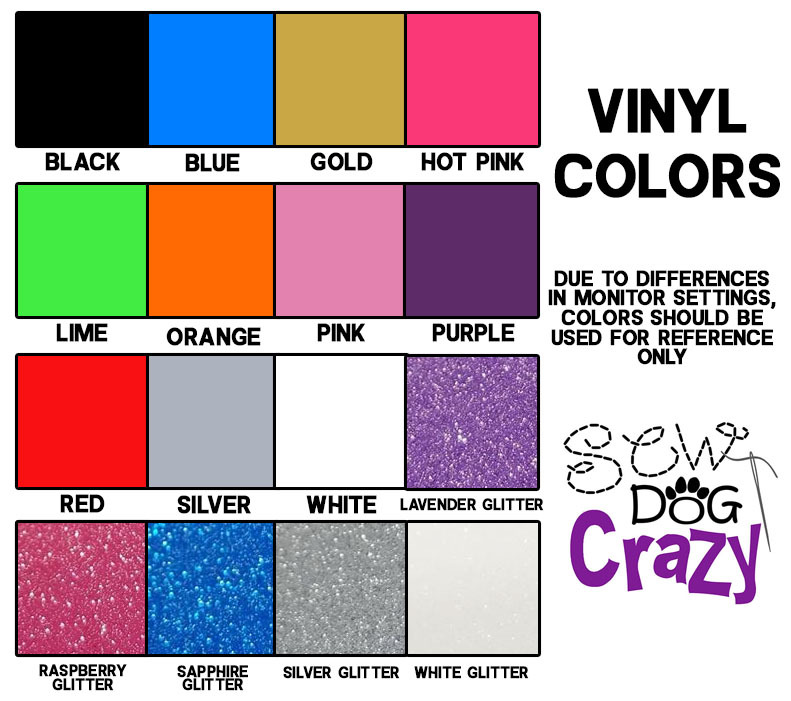 The shadowing color and “dog sports” will be either black or white depending on the color of the shirt you choose, but you can choose the interior color of the word flyball from our selection of colors below. Two colored heat pressed dog flyball t-shirt reads “Flyball” across the center, “Dog Sports” below that, and a paw print at the bottom. The shadowing color and “dog sports” will be either black or white depending on the color of the shirt you choose, but you can choose the interior color of the word flyball from our selection of colors below. Cool flyball wear reads, “Flyball” in the background, and the front has a silhouette of a dog jumping down a lane to the box. When you pick the color, you are choosing the color of the text. The outline & silhouette will change color between black or white automatically depending upon which color of shirt you choose. Various flyball silhouettes with dogs. Sold individually. Decal #1 – Dog over jump, 3.5″ wide x 3.2″ tall. Decal #2 – Box turn, 4.5″ wide x 2.8″ tall. Decal #3 – Dog hitting box, 5″ wide x 1.9″ tall. Decal #4 – human holding dog, 3.2″ wide x 2.8″ tall. This is my happy place. Embroidered flyball sweatshirt has a line of four jumps, ending with a flyball box, loaded with a ball. Fun flyball apparel that’s so true, too! Choose your thread colors or we’ll use brown jumps with our choice of box color. Original design made by Sew Dog Crazy. This is my happy place. Embroidered flyball t-shirt has a line of four jumps, ending with a flyball box, loaded with a ball. Fun flyball apparel that’s so true, too! Choose your thread colors or we’ll use brown jumps with our choice of box color. Original design made by Sew Dog Crazy.